Kasargod, Aug 29, 2015 : Unidentified bike bound assailants have brutally murdered a CPI(M) worker at Kayakunnu near Kanhangad on August 28 evening. 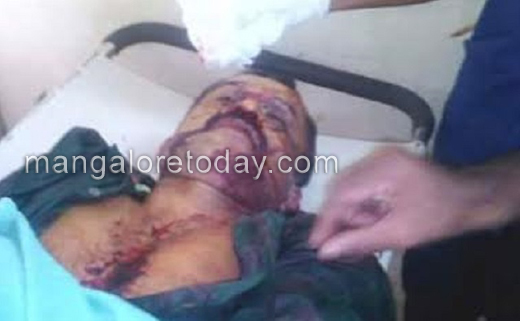 The deceased CPI(M) activist has been identified as C Narayana (42) of Kodobelur. Assailants even stabbed his brother Aravind. Meanwhile the CPI(M) has called for a Kasargod bundh on August 29, Saturday to condemn the murder. Sources revealed that Narayan who was sitting near an auditorium was attacked by the assailants. His brother Aravind who rushed to his rescue was also targeted. If Narayana died at the Kanhangad Hospital where he was rushed soon after the incident, Aravind who too has suffered serious injuries has been admitted to a hospital in Mangaluru. Security has been tightened in the district in order to avert any untoward incidents during the bundh. What do they gain by killing one another? Really a tragic incident. We are humans and never behave like animals.There is our police and law to solve the problems. Never be rivals. The police have to take action against the assailants for the cruelty.